"We're all mad here." It's tough to tell which is more mischievous, the Cheshire Cat's notorious grin or Romero Britto's dynamic color play. 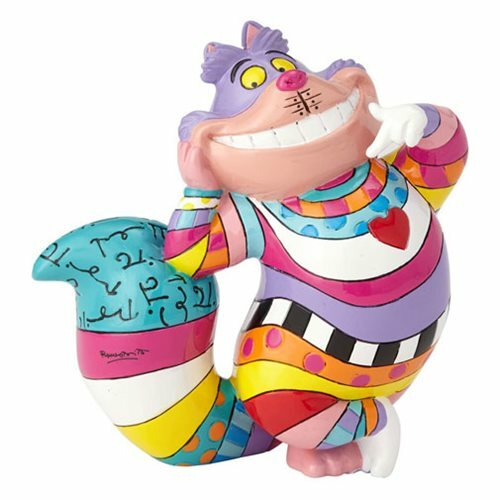 In this wondrous Disney Cheshire Cat Mini-Statue by Romero Britto, the artist treats the wily feline to a full sampling of vibrant hues and graphic patterns, encapsulating his outsized personality. Made of stone resin, the Cheshire Cat stands about 3 1/2-inches tall... when he's visible. Ages 14 and up.